As we reported in April, Sony teased the public with upcoming plans of an Android 4.0.x roll out on its range of Xperia smartphones. The electronics company has finally offered up more details regarding the upgrade via its mobile blog. Upgrades to ICS are expected to commence next week; however, some updates may not arrive until Q3 2012. Sony has confirmed it will be updating its 2011 Xperia line with Android 4.0.4 sans one model: Xperia Play. Sony decided to omit the Play due to stability and consistency issues. It was suggested last month that Sony was intent on releasing ICS despite some potential stability pitfalls. Although owners of the Xperia arc S, Xperia ray and Xperia neo V are probably already running 4.0.3, Android 4.0.4 will also be coming your way very soon. Also according to the blog, the Xperia S will be the first smartphone to get the upgrade. Sony's Xperia arc, Xperia neo, Xperia mini, Xperia mini pro, Xperia pro, Xperia active and Sony Ericsson Live with Walkman portables will also begin receiving updates as soon as next week. Xperia P is expected to follow later this year while Xperia U will mark the final device to receive ICS. Sony expects the U to receive its update sometime late in Q3. As mentioned earlier, Xperia Play will not be receiving an ICS upgrade. Sony outlined their reasoning on their mobile blog. 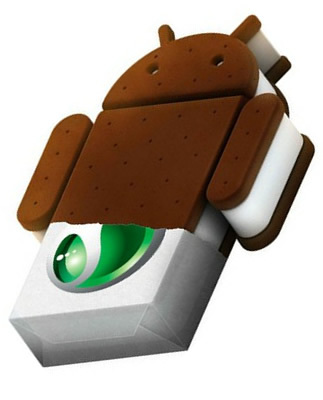 In regards to Xperia PLAY, after extensive in house testing with our developer teams and working with our partners, we have concluded that a consistent and stable experience, particularly with gaming, cannot be guaranteed for this smartphone on Ice Cream Sandwich – therefore, we will not make the Android 4.0 upgrade available for Xperia PLAY. As always, update schedules like these tend to be fluid and are certainly subject to change. Release dates may also vary a great deal depending upon your market and carrier.